Something in the Water. – Paper Never Refused Ink! There must be something in the water that nourishes writers on this Great Island of ours, as it has such an abundance of them. Perhaps, as the Lee flows along, it gathers stories from its many tributaries and courses, tumbling them in its stream as it flows ever onward on its journey to the Atlantic. Or maybe it’s the nature of living on the harbour, where for centuries ships have sailed and sheltered as the flow of commerce from across the nation has funnelled goods and people to its quaysides; then onward to new horizons waiting out past Roches point. Something draws them to come to rest, like so many grains of sand, onto the shores of Cobh. This never-resting, ever-changing harbour has borne witness to the heartache of the emigrant and the excitement of unknown adventures for those drawn to a life on the ocean. Cobh’s every corner is etched with history and the endless search for fresh possibilities seems to stimulate the creativity of the local writers. They wait like Heaney at his desk, ‘Between my finger and my thumb, The squat pen rests. I’ll dig with it.’, and what a range of stories our local writers unearth in their digging. When one sits down to write about writers and ponder on who to speak with before the next Cobh Readers and Writer Festival takes place from April the 11th to 14th 2019, it is a privilege to be able to reach out to someone like Trish Carlos, who kindly took some time out of her busy life as a teacher, mother and writer to speak to me. 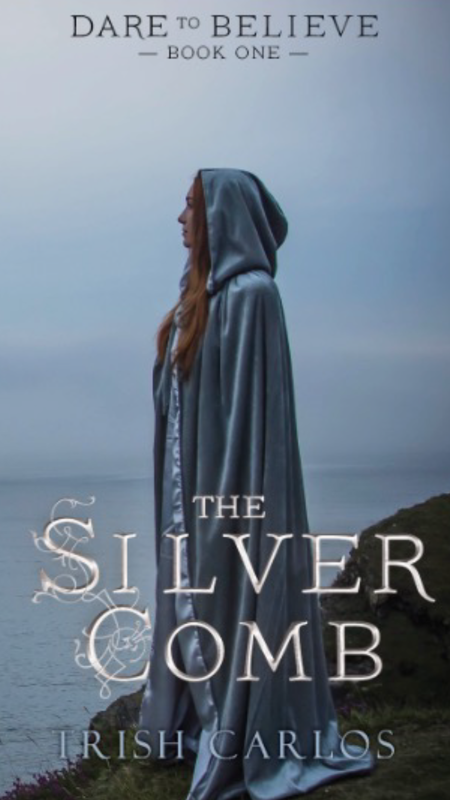 Trish, as I am sure most local people will know, is a talented writer, whose first book ‘The Silver Comb’ has built up a solid fan base and her short stories which she publishes online on her website, http://www.trishcarlos.com, are also reproduced regularly on local media. 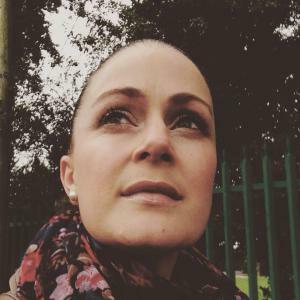 A quality which Trish shares with so many fellow Cobhites is that she is always giving back to her community. 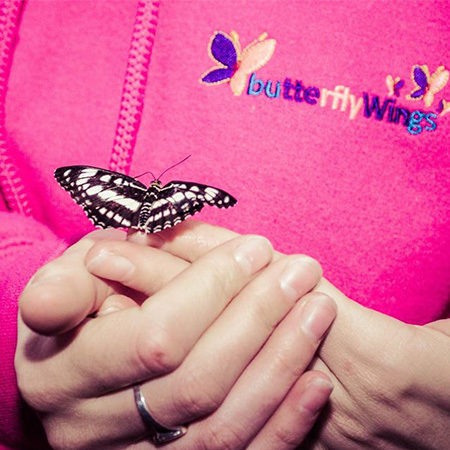 Trish helps to run the charity Butterfly Wings and their big annual fundraiser is the ‘Butterfly Ball’. I for one think it is a real credit to Trish, her entire family, and all her friends. ‘We set up the Charity in 2006 when I was the Cork Rose. My Aunt was ill at the time with breast cancer and she missed out on going to Tralee for the festival and the celebratory ball afterwards. It was the one time that it would be within our ability to throw a ball and people wouldn’t think who do this crowd think they are. So, we threw a ball that year, but unfortunately, we had it all organised and she sadly passed away before it took place. We held it in celebration of her life and in her memory that year. 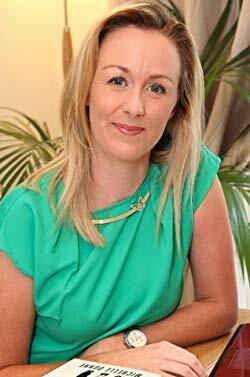 So, the charity grew out of that.’ The people of Cobh are so generous and supportive to this wonderful charitable effort, which as Trish explains is in ‘…our thirteenth year and just the support is brilliant. It’s always locals, always the same people, always tying in, always helping, always supporting us. The next ball is the 9th of March 2019.’ I have included links to all of Trish work and websites below. I am sure that her short stories will gain followers with each passing week and I am convinced that her next book will be as successful as the first. If you are looking to give a book for a teen this Christmas, then I think that ‘The Silver Comb’ would be a great idea to start. Michael was born in Dublin in 1958. 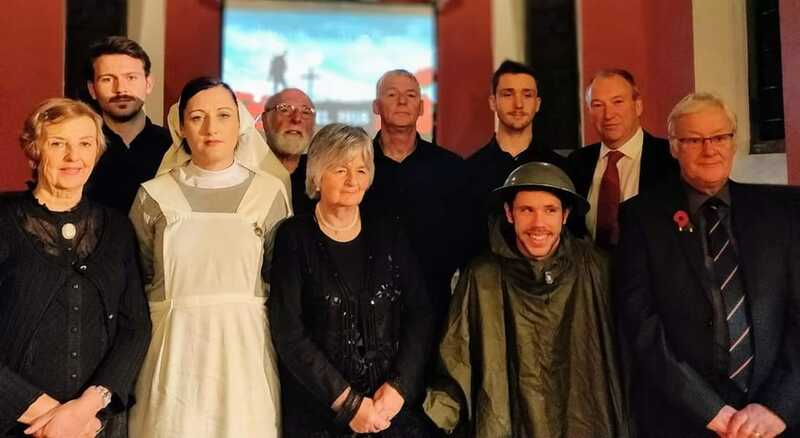 He came to Cork in 1974 and he worked with the Simon Community in the Johns Street in the night shelter as a volunteer, before he joined the Irish Naval Service in 1975, where he gave 23 years of exemplary service, including service with the United Nations. He began to put down his roots in Cobh when as a young man he and a few of his comrades were among the first to apply for and receive living out passes, which allowed them to reside off the base in Pearse Street in Cobh in 1977/78. So, Michael feels that he ‘got a different perspective on Cobh, because up to that era most people who came down from up the country and joined the Navy, only really knew Cobh from going out there on a Friday or Saturday night. They weren’t really immersed in the community.’ This immersion he feels allowed him to build a consciousness of his surroundings, not just of the main streets and coupled with a long-held interest in history it formed a lasting impression. I asked Michael what drew him to take his first journey in writing? 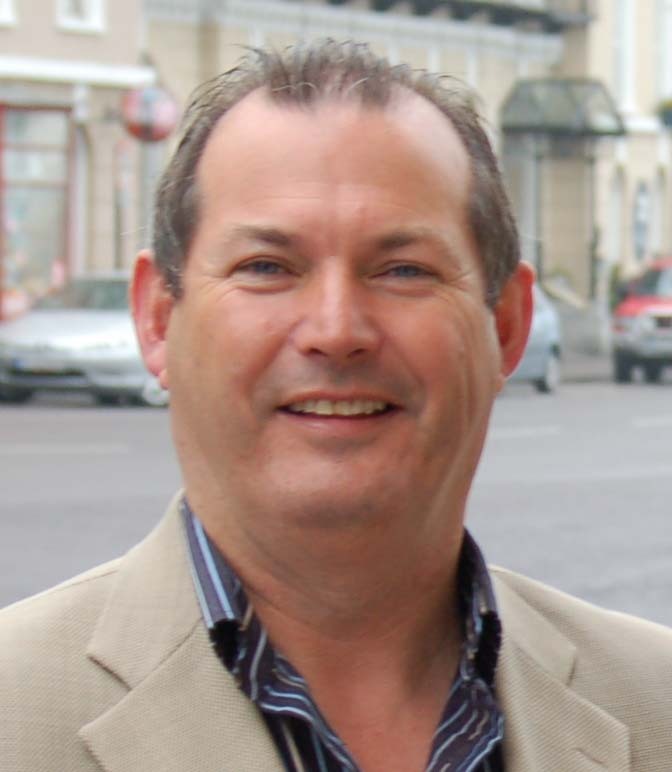 Michael has rightly been praised for his pioneering efforts and he received the Cobh Mayors award in 2005 for his work for the town and was made an honorary citizen of Baltimore USA by the Mayor there in 2003. His ‘Titanic Trail’ stands out as an example to others and tourism in the town is growing year on year. There are now a range of options for the tourists to enjoy, including other walking tours and even three museums to visit. 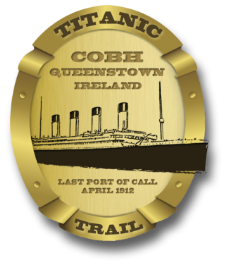 His booklet, ‘Titanic Trail Cobh/Queenstown’ has sold over 84,000 copies to date, which by any measure is an exceptional success story. In 2004 he went back to full-time education in University College Cork and University of California at Berkeley where he completed his PhD on Irish Civil-Military Relations in 2010. Michael’s other books include the following titles, ‘Spike Island: Saints, Felons and Famine’ from 2007 explores and compares the ecclesiastical period on the island with that of the period during which it was used as a convict depot during the famine and later. ‘RMS Lusitania: It wasn’t, and it didn’t’ was published in October 2014. This work examines the events surrounding the sinking of the Lusitania and raises uncomfortable questions about actions taken before, during and after the sinking of the ship by a German submarine in May of 1915. While acknowledging the great human tragedy of the incident, the book challenges the traditional narrative ‘it was a savage attack on an innocent vessel that brought America into the war’ and sets out to show that it wasn’t an innocent vessel and did not bring America into the war. 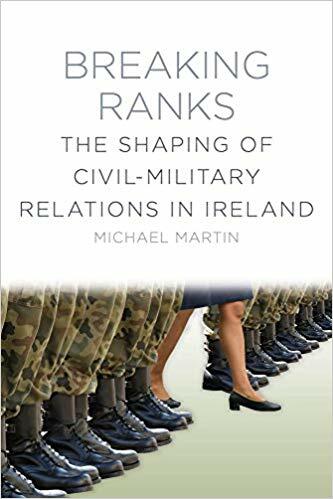 His latest book, published in October 2016 entitled ‘Breaking Ranks, the shaping of civil-military relations in Ireland’ details the emergence of these representative bodies. In 1989 Michael Martin played a leading role in the efforts to attain the right of association for serving members of Ireland’s Army, Navy and Air Corps. During the lengthy negotiations that eventually followed with representatives of the government, he was the lead negotiator and strategist. When legislation and regulations were finally enacted he was the first in the history of the Irish State to be elected to the position of General Secretary of the newly formed statutory representative body for members of the Irish armed forces. 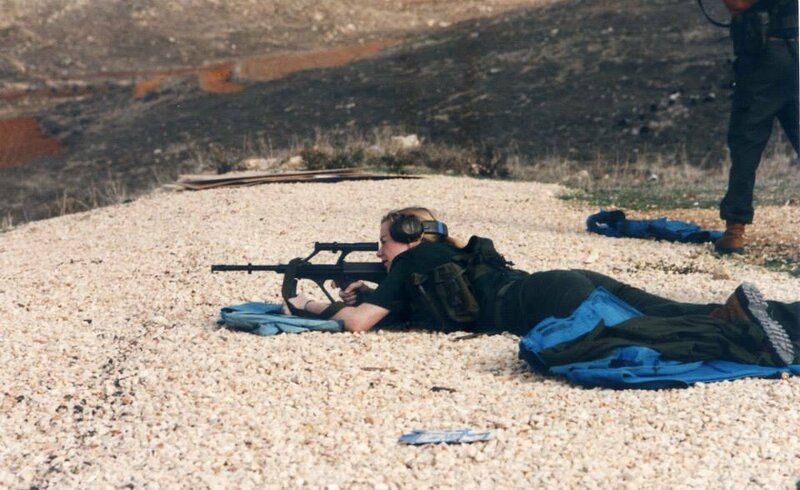 She remembers her time in the Army with great fondness ‘My experience in the army helped me to develop as a person. In my mind, it built character and helped me to develop a thick skin, which absolutely helped me as an author!’ The never give up attitude has stood to her as she says that ‘you have no idea how many scathing rejection letters I received in the early days, but rather than being put off, I learned from each one and used them to improve my writing.’ She adds that ‘Plus, there’s no better place in the world to get inspiration for writing than being a part of any military group; the characters, the stories … they’re second to none! Glenn Kavanagh, 2nd from left. Last, but by no means least on my journey across Cobh prying into the creative lives of all these wonderful authors, I had the opportunity to talk to Trevor Laffan. Trevor is a retired Garda and a blogger/journalist whose work is widely read. 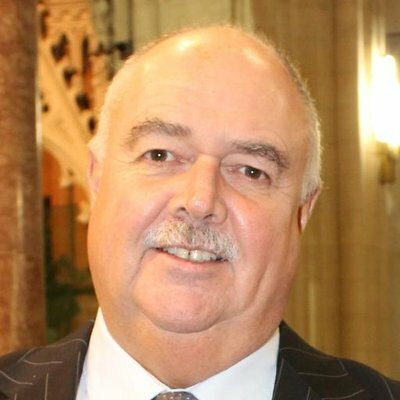 A recent article of his in the Evening Echo is a must read, in it Trevor describes with a humbling honesty his recent illness and his operation for prostate cancer. I got to speak to Trevor on his first journey outside his home since his operation. You can tell by the energy which comes across so naturally from Trevor, that he is a person of great strength and I am sure everyone wishes him the very best for a speedy recovery. But Trevor persisted and discovered one of his fellow students was in her 70s and another in his 80s, with plenty of people from across the age ranges. He took to it like a duck to water as he describes to me, with obvious remembrance of happy days ‘…I actually loved it. I couldn’t wait for them to give us an assignment. You’d have four or five weeks to do it, and I would have it done in a day or two. And then I would be looking for more’ When he successfully completed his studies, he took on his first journey into journalism, he interviewed a man who had completed a climb in South America and it was published in ‘The County’, which is a Cork Examiner supplement. 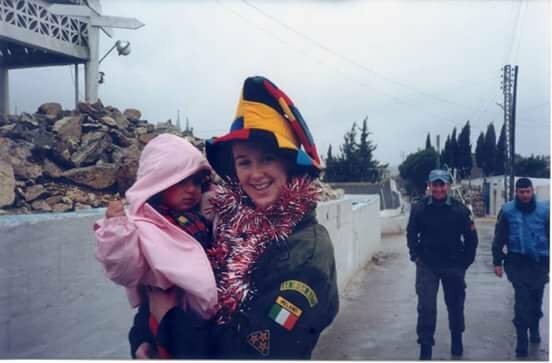 This was a great boost to Trevor, yet he fell away from journalism for a while until he went to serve with the United Nations Peace Keeping Force in Cyprus (UNFICYP) mission with an Garda Síochána for one year in 2014. While there he took another notion to start a blog, which didn’t go too well, and it was abandoned. 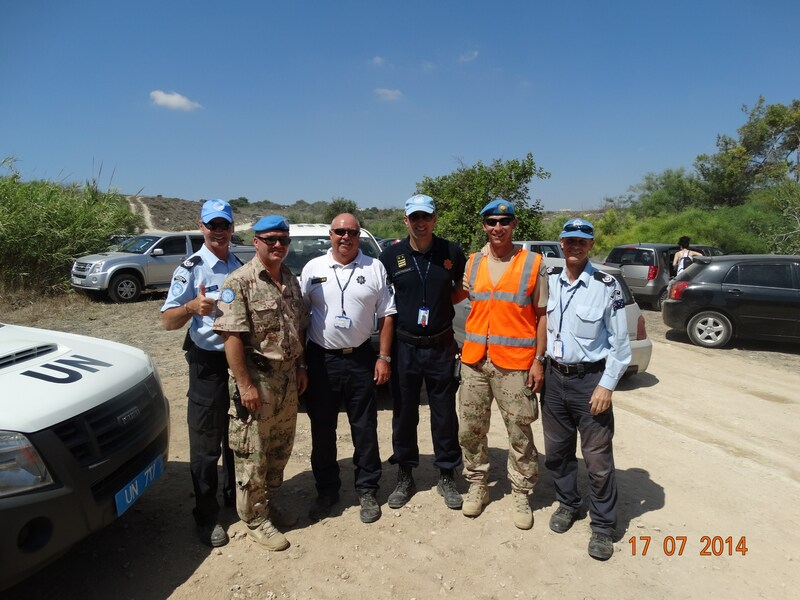 Returning home from UN service, Trevor decided to call time on his Garda career and while beginning to enjoy his retirement, he took the blog back up again. He had only created two new online pieces when John Dolan from the Evening Echo got in contact and said that Maurice Gubbins the Editor of the Evening Echo, had spotted his writing and was wondering if he would be able to make his online pieces a little longer, in order that they might be published in print in the Echo. Here is where this journey must come to an end for this month, the talented and creative people that have given so generously of their time to take part in the article are to be admired and supported. We have such wonderful writers living on our Great Island, their work enriches our lives as they share the stories they have built from those grains of sand with all of us. It is plain to see that the commitment and effort required by all these writers is massive. They work tirelessly without any firm belief in reward or success. They labour for the love of it. I would urge you all to read some of their work, purchase a copy of it if you can and if you can’t, maybe just give them your verbal support with some positive feedback by leaving a like or a comment online, or maybe even share something from their respective sites or posts on your own social media timelines. 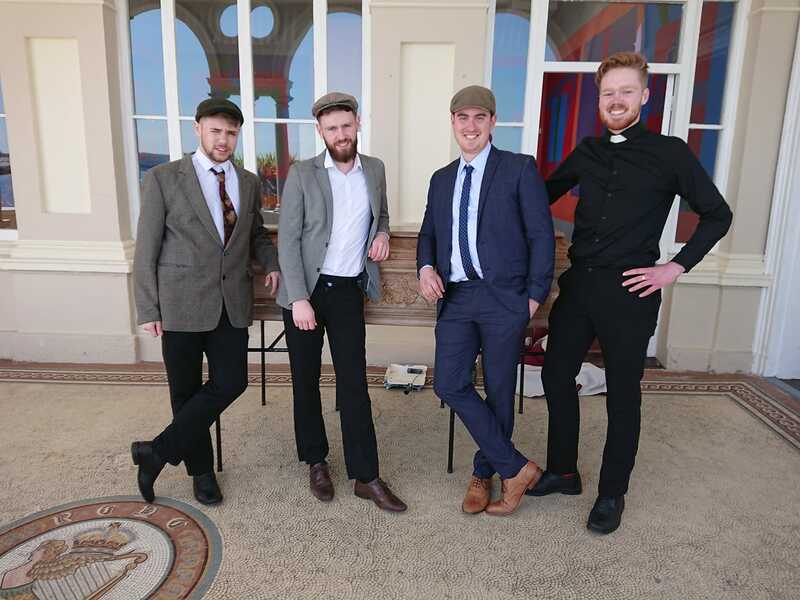 These storytellers are everywhere you look in Cobh and there is definitely something in the water. Come and join us in Cobh from Thursday the 11th of April until Sunday the 12th, you won’t be disappointed! The title image is the work of the wonderful Cobh Photographer Colm McDonagh. Please find his work here and here. Please support this kind and generous local man, who allows volunteer community groups such as our Cobh Readers and Writers Festival group to use his hard work in order to support what we do. That is the definition of support for one’s community. Thank you Colm. The rest of the images are the property of the persons interviewed. A very informative write and due praise indeed for all involved. 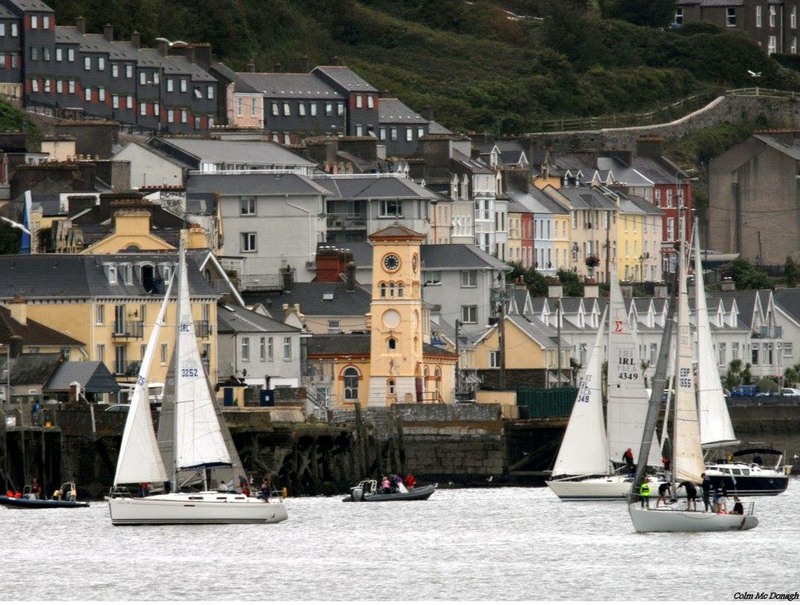 Cobh is a cauldron of creative talent and is on the cusp of recognition due to its talent , its creativity and its pioneering die hard try hard entrepreneurs. Well done to all . . . Thank you very much for your kind words. I and the rest of the gang are delighted to have a poet of your calibre coming onboard with us. A fantastic piece of work Ruairi a great insight into the talent we have in our town it can only encourage others to write. Thank you very much Stephen, how very kind of you to say. It’s a privilege to have been able to speak to such a talented & creative group of people. What a rich part of the culture of our beautiful island. Previous Post Cogadh na Saoirse: Ar Muir is ar Tír.